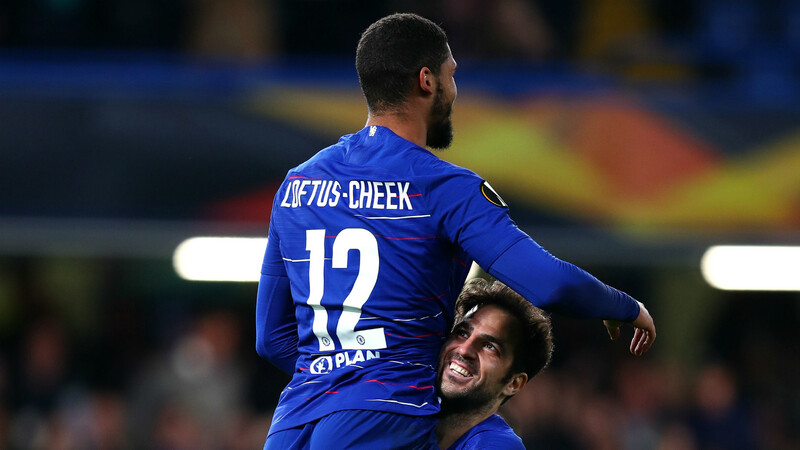 Chelsea’s Ruben Loftus-Cheek had a Europa League night to remember by scoring the first hat-trick of his career as the midfielder inspired them to a 3-1 home win over Belarus champions BATE Borisov on Thursday. 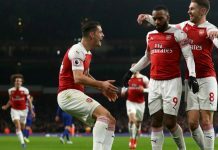 Arsenal also celebrated a victory in their group after a late strike by Danny Welbeck secured a 1-0 win over Sporting in Lisbon, while Real Betis pulled off the shock of the evening with a 2-1 win at former European Cup winners AC Milan. Making the most of a rare start for Maurizio Sarri’s side, Loftus-Cheek fired Chelsea ahead in the second minute when he whipped home a low cross by Davide Zappacosta and then doubled their lead six minutes later with a clever touch. 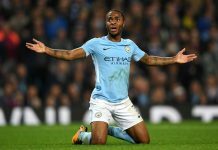 The 22-year-old England international made it 3-0 with a sublime finish in the 54th, side-footing into the bottom left corner from 22 metres after taking a loose ball in his stride. BATE right back Aleksey Rios netted a 79th-minute consolation for the visitors, whose goalkeeper Denis Scherbitski made several fine saves in the second half. The result left Chelsea top of Group L with a maximum nine points, while BATE, PAOK Thessaloniki and Hungary’s Vidi are locked on three each after Vidi enjoyed a surprise 2-0 win at PAOK. Arsenal forward Welbeck struck the 79th-minute winner at Sporting with a crisp low shot from 15 metres through the legs of goalkeeper Renan Ribeiro, who had produced a string of good saves in a fast-paced contest. Arsenal, who recorded their 11th successive win in all competitions to match their best run since October 2007, lead the Group E standings with nine points from three games, while second-placed Sporting are on six. Milan’s miserable week continued following Sunday’s 1-0 Serie A defeat by city rivals Inter as goals from Betis’ Antonio Sanabria and Giovani Lo Celso condemned the Italians to their first Europa League setback after two wins in Group F.
Sanabria silenced the San Siro crowd when he bundled the ball home from point blank range on the half-hour and Lo Celso netted a thumping long-range shot shortly after the break. Patrick Cutrone pulled one back for Milan with an 83rd-minute solo effort but it was too little too late for the winners of seven titles in Europe’s elite club competition. 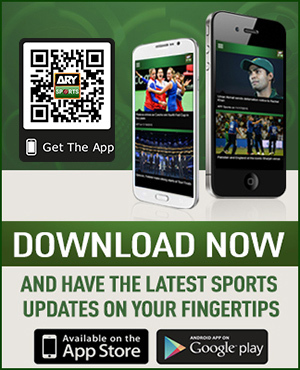 Lazio engineered an impressive 3-1 victory at 1993 European champions Olympique de Marseille, while Sevilla, the winners of a record five Europa League titles, ran riot in a 6-0 home demolition of Turkish rivals Akhisar. Brazilian defender Wallace headed Lazio into an early lead and Felipe Caicedo made it 2-0 with a cool finish after good work by strike partner Ciro Immobile. Dimitri Payet gave Marseille a glimmer of hope before Adam Marusic sealed Lazio’s win with a superb strike into the top corner in the 90th minute. Clinical first-half finishing by Matheus Cunha and Bruma gave Leipzig a home victory over Celtic, while Salzburg made it three wins from three games with a Munas Dabbur double and a third goal from Hannes Wolf despatching Rosenborg. FC Zurich led and then had to come from behind to beat Bayer Leverkusen 3-2 at home and Zenit St Petersburg also fought back from a goal down to beat Girondins Bordeaux 2-1 at home although Artyem Dzyuba missed a penalty for the Russian side. Two quickfire goals in the second half enabled Fenerbahce to recover from a 2-0 deficit and force a 2-2 draw at Anderlecht while Dinamo Zagreb made it three wins in a row in Group D after coming from a goal down to beat Spartak Trnava 2-1 away. In Group G, Rangers were held to a 0-0 home draw by Spartak Moscow as Villarreal crushed Rapid Vienna 5-0. Rangers and Villarreal have five points each ahead of Rapid on three.